Surry Hills, NSW: Reader's Digest (Australia), 1992. This is the first Australia/New Zealand edition of the Reader's Digest Condensed version of Coyote Waits. This compilation also contains novels by Frederick Forsyth and Rosamunde Pilcher. This hardcover volume does not have a dust cover. 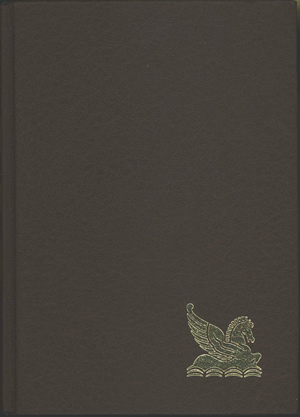 The front cover is textured burgundy vinyl with the Reader's Digest pegasus logo in gold in the bottom right corner. The back cover is also textured burgundy vinyl with no printing or marks. The inside front and inside back covers are blank. The endpapers are cream. Binding: Burgundy textured vinyl-covered boards. On the spine, the publisher, book titles and logo are printed in gold.